Interest in conservation and sustainability has never been stronger in Gladstone. Ecofest, an annual event marking World Environment Day, has grown up. It’s now one of Australia’s leading environmental events for sharing information, celebrating conservation initiatives, Australian technology and pooling resources. 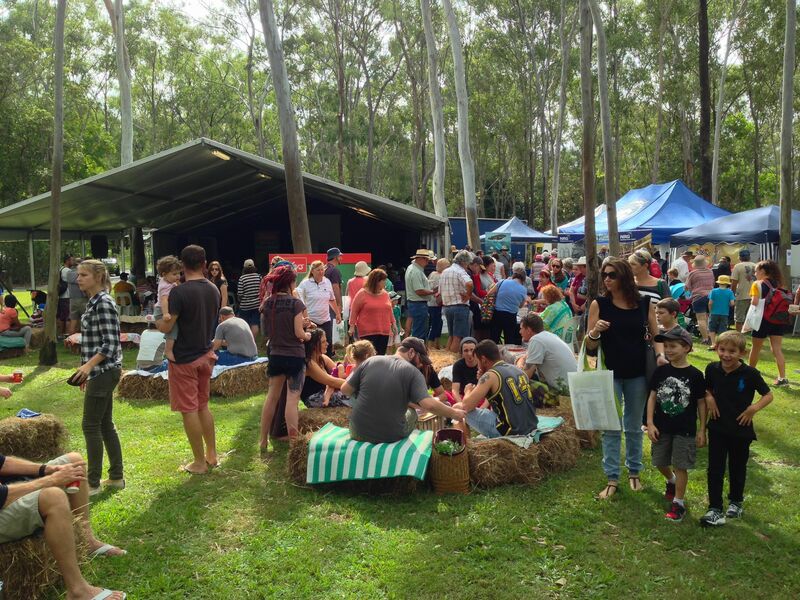 Tondoon Botanic Gardens provide a beautiful, indigenous landscape for staging this lakeside event, and its busy waterfowl and leafy canopy create a beautiful, festival atmosphere. This year local business, community, charity and conservation organisations provided over eighty stands for this increasingly vibrant and relevant event. World Environment Day 2014 focussed on the idea ‘raise your voice, not sea levels’, and Shannon Lush, Rod Quantock and I judged this year’s short film entries on this topic. Last year more than 10,000 people attended Ecofest and its was even busier this year. What was the best part? I’ll never forget cuddling a snoozy, rescued Southern Hairy-nosed wombat. Or spotting my first Spiny Bark mantid hunting on a forest red gum. But it was the hordes of people, the families who joined in and who want a better future that made this such a life-affirming event. Three cheers to Gladstone, and for a safer climate!